The children love to feed the birds when we're out and about, so I decided to bring some of that excitement into our own garden. We chose to make some bird seed feeders to hang outside, to attract some birds into our back yard. 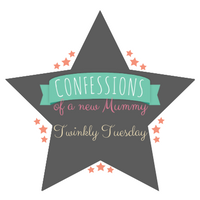 They are really quick and easy to do, making it a simple activity for children of all ages to join in with. Here's how to make your own easy bird seed feeders! 1. Gather up all your equipment. 2. Prepare your plastic containers. Make a small hole in the middle of each container with the metal skewer. Make sure an adult does this part! Poke some string through the holes and tie with a knot on the inside. Make sure you don't pull the knot all the way to the top of the container - you want it to run through the middle of your lard and seed mix. 3. Make your bird seed and lard mix. You'll need your lard really soft, but not runny. We left ours out in the sun while we prepared all the other bits. Add your bird seed and mix until you have plenty of seeds and you can't see much of the fat any more. (A bit like making crispy cakes!) We used about two thirds of each bag pictured to one block of softened lard. It needs to be mould-able in case you want to roll it into fat balls. 4. Divide the mixture into your containers. Pop your filled containers into your fridge overnight to solidify. 5. Cut open your containers to release your bird seed feeders! Make sure an adult does this part. You can mould your feeders with your hands here if you like. We rolled ours in our palms to make them look like little balls! We also rolled them in the left over seeds we had, just before we hung them outside. 6. Hang your bird seed feeders and wait for your winged visitors! Just don't do what we did and hang them eagerly on the hottest Bank Holiday Monday since records began! The fat balls just ended up sliding off the string onto the floor, much to the delight of the puppies! It was back to the fridge for a day or two for them, until the weather cooled! Tip: Some shop bought bird seed contains nuts and other allergens, so please check ingredients carefully if you have allergies. Or better still, make your own bird seed mix from other ingredients to ensure the safety of your children and yourself. For some other great ways to involve your children in the garden, why not visit Rachel Bustin's blog post, Beat Summer Holiday Boredom By Getting In The Garden. Mummy, look! The birds are having their breakfast! Look! They like what we made them! Both children were stood on top of the toy box, peering out the window at their first customers! It was a struggle to peel them away to get ready that morning. 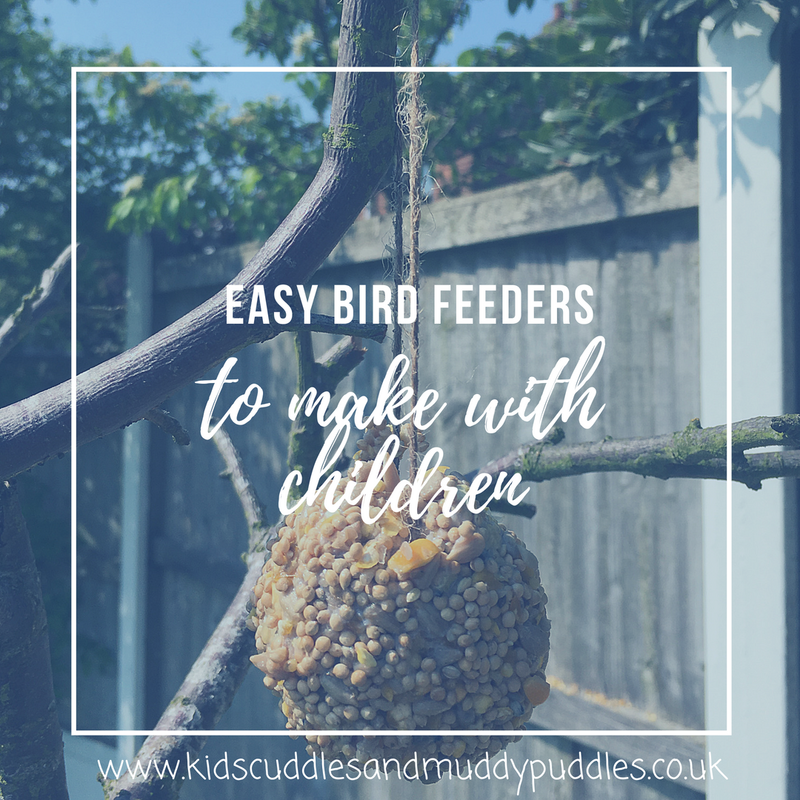 I'll definitely be making these easy bird seed feeders with the children again soon! Will have to try this! So if you are a Google+ user, please comment using an alternative option such as Name + URL. If using Anonymous, please don't forget to sign your name so I know who has taken the time to kindly leave a comment. Please check back later to see if your comment has been published. If it's not there, you may need to enable third party cookies and scripts from your browser, or add blogger.com and blogspot.com to your safe list. It may be helpful to also clear your cache, cookies and internet history. You should be able to submit your comment again successfully.